The second book in the Tabitha Fink series, Tabitha Fink On a Mission to Mars is an exciting adventure through space from Earth to the red planet. But in reality the story is much more universal than that. During her trip, Tabitha learns that trying something new can be fun and that making new friends is the way the universe works. The Tabitha Fink message, that kids should embrace who they are, continues in this book, which is intended for the first through third grade readers. 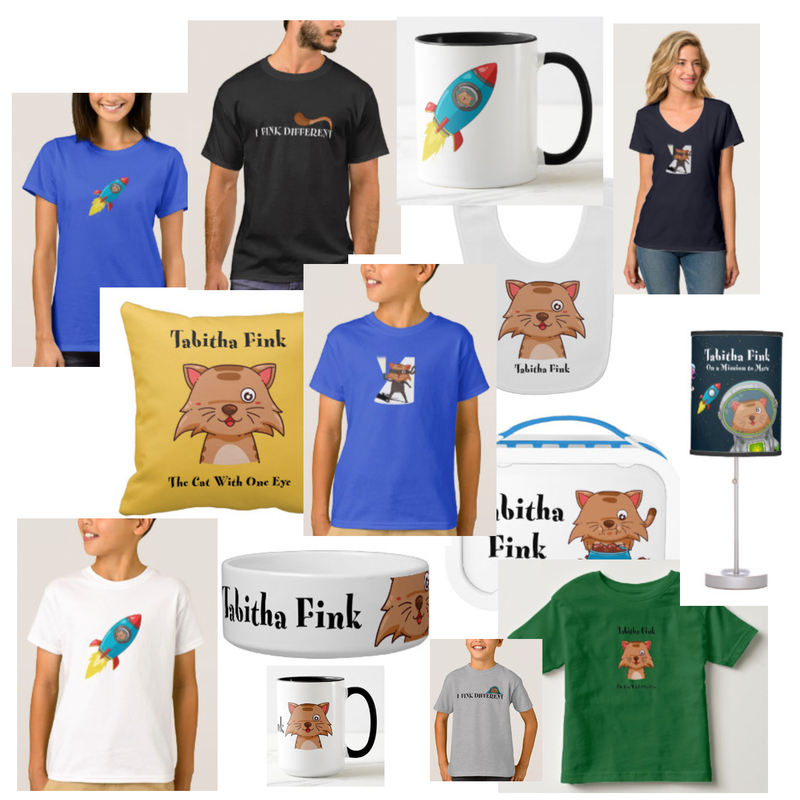 Tabitha Fink On a Mission to Mars has won the Best Children’s Picture Book in the Feathered Quill Book Awards, was a finalist in the the Beverly Hills Book Awards and Pacific Book Awards as well as a Readers Favorite winner. “Different is cool, says Tabitha Fink and it is cool to learn new things, even if, at first, they seem a little bit scary. But Tabitha Fink isn’t scared. In fact, she’s a cat on a mission to learn all she can, this time about the far distant planet of Mars. She knows that a lot of things are different on Mars, like the things Martians do for fun, how they travel, and the food they eat, but she doesn’t know what the differences are and she’s determined to find out. You can order Tabitha Fink On a Mission to Mars by following these links to Amazon or Barnes and Noble.